Embassy of India, Jakarta in partnership with City Government of Balikpapan organized an India Culture Week in Balikpapan from 9-16 February. 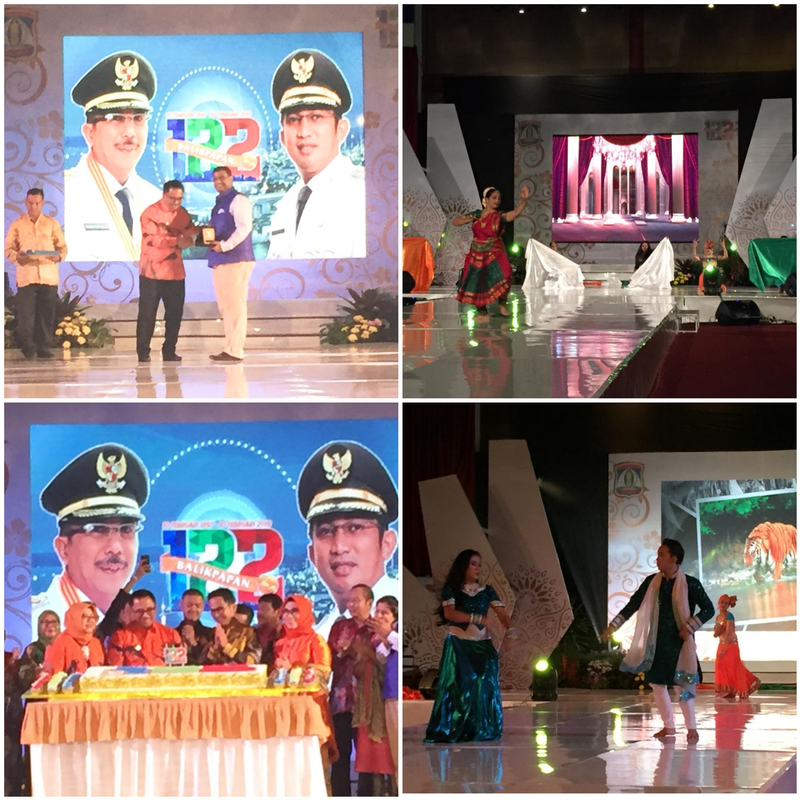 It may be noted that the City Government of Balikpapan was commemorating the 122nd Anniversary Celebration of the founding of Balikpapan City on 10th February 2019. To mark the occasion a special cultural performance by artists from Jawaharlal Nehru Indian Cultural Center (JNICC) was organized at a gala evening function at the prestigious Dome venue in Balikpapan. Mayor along with entire city leadership and senior Government officials joined the occasion and witnessed the Indian cultural dance performances. They expressed their appreciation to the Indian Embassy for partnering with their city in organizing the multiple cultural events that would be organized in Balikpapan over the week.